1st trackmeet of the year! I've been saying it over and over and I feel like I'm making excuses but I'm just so disappointed that my season opener was a skewed event. Anyone that knows anything about track knows that you want to get atleast a 30minute warmup in to make sure your body is primed to run as fast as possible. Truth be told, an hour warm up is more like normal for most people. But here I am, learning that the event schedule had been changed on the fly and the 100m is being contested pretty much ASAP. Due to time constraints this was pretty much the main race I wanted to run, yeah I was contemplating running the 400 also but honestly, NOBODY wants to run the 400 on purpose, especially if you haven't really been training for it. So for those 10 minutes I waivered between not running and running because hell, this was the reason why I came here right! In my younger years, I'm sure I could hop out of the car and run 11 seconds with no problem. However, in these days I have some Achilles issues that require me to warm them up and hell, it just takes me an extra second to get going these days. Ah well, I went against my better judgement and ran anything. Not my best effort. But, I did finish healthy. No injuries and happy to get a competitive run under my belt. More to come! 12.33. Work, Work, Work, Work and did I say work! We put in work! Join Us! or Me if you are a little to shy for the group workouts! Want to upgrade your shower experience? You can for less than $20.00, well atleast before taxes and shipping and handling depending on if you have amazon prime or not. 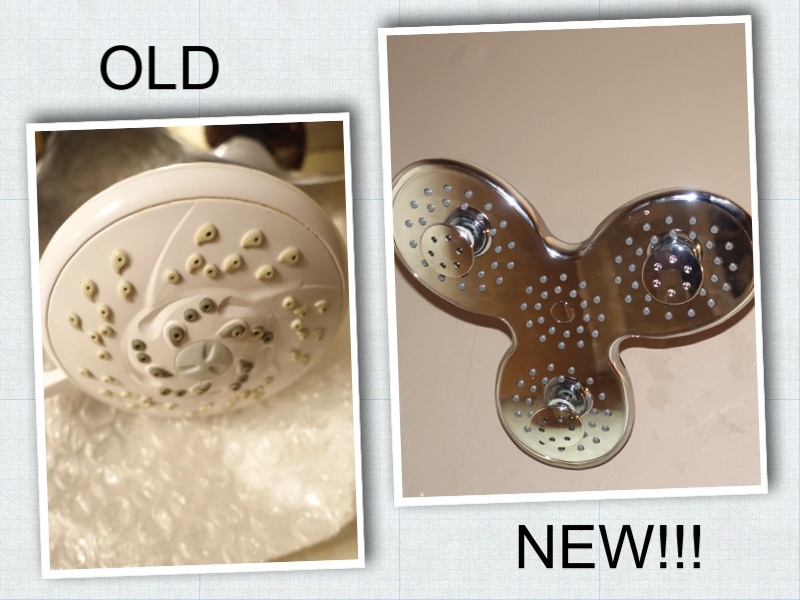 I received this rainfall shower head with individual swivel jets at a reduced rate in return for my review. When I saw the multiple shower heads I was immediately sold, and the chrome finish was just the icing on the cake. I am always looking for ways to upgrade the look of my bathroom without breaking the bank so this was a good fit. Installation was very easy. It look longer to take the old shower head off than it did for me to install the new one. Best part is you can hand tighten it and walk away without having to worry about any leaking. Everything needed for installation was included inside of the packaging. At the moment, I really have nothing bad to say. If something arises I will be sure to update my review but for now, ease of use, the look, and the price are all win-win in my book. So if you are in the market for a new shower head, do yourself a favor and check this one out! Check out my video below as well!